An ever growing Mumbai has an ever increasing traffic problem that requires urgent attention. Photo by Tom Spender. 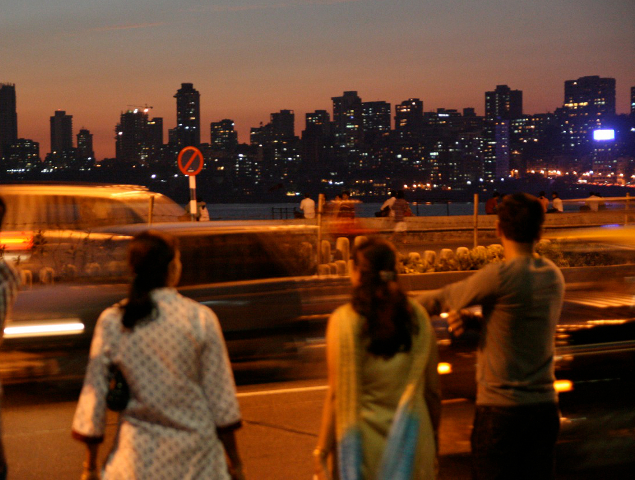 Mumbai in western India is the commercial capital of India. A tiny island, the city has grown prodigiously in the past few decades. Unlike Manhattan, Mumbai is no grid, the organically grown city winds and sprawls. Fortunately, Mumbai has enjoyed strong public transport services since the 19th century. A good chunk of the population depends on the public transport system- both suburban trains and buses to commute daily. Road space is sparse and traffic immense. Current estimates indicate that over 400 motorized vehicles are added to Mumbai’s streets every day. The challenge in Mumbai is two pronged: maintaining a dependable, financially viable and extensive public transport system and ensuring traffic conditions are bettered. Urban transport companies across India are finding it difficult to stay afloat in the face of increasing fuel costs and accumulating losses. The Brihanmumbai Electric Supply and Transport (BEST), Mumbai’s public bus provider, is no exception. However, unlike a lot of other Indian cities, the BEST has an extensive network across the city and its suburbs, carrying millions of passengers annually. However, the agency’s high ratio of employees to buses means operating costs are very high and BEST struggles not to lose money every year. The agency owns a fleet of over 4,700 buses, which serve 365 city routes along 70,000 kilometres daily. Not all of these buses are run daily due to a lack of road space; with a portion of the fleet being grounded in depots each day. With 11.2 employees per bus, the agency has the highest employee to bus ratio in India. To combat this, the agency has been undertaking reforms in the last five years. BES has concentrated on raising new sources of revenue with advertising on buses, leasing buses to airlines for transport; adding new buses and converting the fleet to natural gas and introducing smartcards. Recently the BEST along with NMMT and MBMT (bus providers in Navi Mumbai) collaborated with EMBARQ India to conduct two workshops training drivers in both undertakings to unique driving techniques to reduce fuel consumption and increase efficiency. With vehicles constantly being added to the streets, the number one problem for traffic management in Mumbai is enforcement. Given the sheer volumes of traffic, there is always a shortage of policemen manning junctions and arterial roads. At any given time, the traffic police have more than 1,000 policemen on duty manning roads and junctions. In such conditions, Vivek Phansalkar, the commissioner of the traffic police, has the unenviable job of keeping traffic moving, in a lawful and efficient manner. 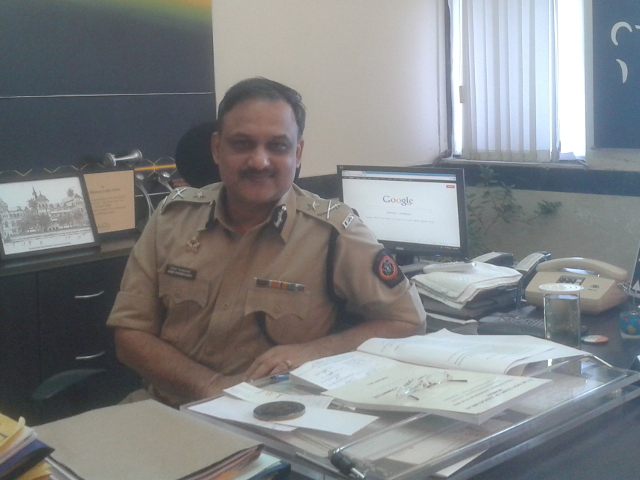 Vivek Phansalkhar, Joint commissioner of Mumbai’s traffic police, coordinates thousands of traffic police daily. Photo by EMBARQ India. Reforms for agencies such as BEST and traffic conditions are made difficult by the multitude of agencies in Mumbai that deal with such transport issues. Plans are underway to create a Unified Metropolitan Transport Authority (UMTA) that will unify all major stakeholders under one umbrella. The road to transport efficiency is a long one. Mumbai, like many urban centers across India, is finding innovative means to deal with explosive population growth, and hundreds of vehicles added to the road every day. Many thanks to Divya Kottadiel, EMBARQ for her contributions to this article.